The E-liquid Tobacco flavour smells like real cigarettes and makes it easier for you to get away from real cigarettes. You can enjoy the rich flavoured vape in the same way that you enjoy rolled cigarettes or piped tobacco to satisfy your taste. 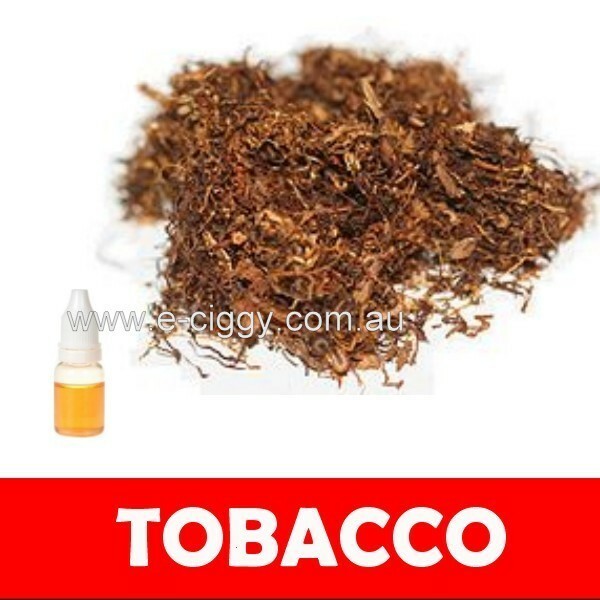 It is perfect for all long-time smokers and those who are willing to enjoy the real essence of tobacco vape. ﻿Ordering e-liquids to refill and have more vaporizing ability with your e-ciggies is easy. You can get premium Australian cartridge refills that will allow you to continue vaporizing using your electronic device. The best part of quality e-liquids is that they dissipate leaving no residue or unpleasant odour and can be used indoors without any fuss. Try the many different flavours of premium e-liquids that are available here and experience the many different flavours that you can vaporize with using them. Save time and lots of hassle by ordering online and getting e-liquids easily and quickly. Comment : One of the best liquids!